Nope, it’s not Christmas – at least, not yet. But for book lovers everywhere, it’s that time of the year again–the annual Manila International Book Fair is here! 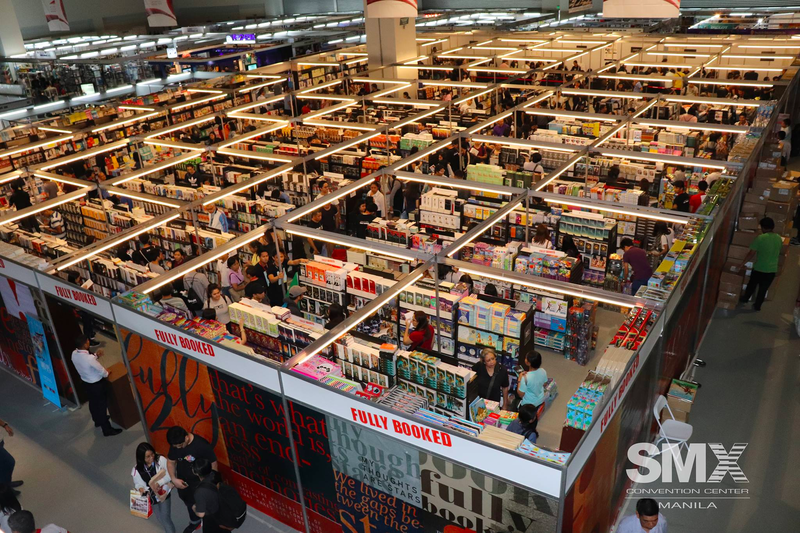 Now on its 38th year, the MIBF gets bigger and better, occupying two floors. That’s right, TWO! It’s held at SMX Convention Center in Mall of Asia, from September 13 to 17, 10AM – 8PM. But before you get overwhelmed with all that excitement and pacing about, we’ve listed down some tips on how you can make the most out of it! The registration ticket costs P20 per head, and you can get it at the lobby near the entrance of the event. But if you want to beat the long queue to get in, there are printable tickets online from several publishing houses such as Adarna Publishing House. You can also get it for free in Fully Booked branches, which you can ask for at the customer service. Preparation is key, and this is the time to get those highly coveted books you’ve put on your to-be read list. Amidst all the chaos with rows of books and the sea of people, trust us when we say that it’ll be more convenient for you. The best day to come in is at the first day to beat all book hoarders. But if you don’t have time to do that, you can always come in during the weekend. You have to brave the crowd though, and hope that some publishers do restock their supply during those days. 4. Watch out for Bargain Steals everywhere! Everyone is there because of this! Great discounts from every publishing house everywhere! But what’s even better are the bargain sales, where they sell books for P100 and above. It might be quite tedious to look for the books on your list that might be there, but wouldn’t it be so worth it? You can meet authors and attend their book signings in several booths at the venue. You can also attend the talks they host, which you can find on their website. You never know what kind of surprises and freebies you might encounter! Most of all, don’t forget to have fun! There are two days left, so make the most of it while it lasts!